Snell Golf broke ground with the revolutionary My Tour Ball in 2015. What can they do for an encore? Dean Snell, owner of the eponymous Snell Golf company, and co-creator of the original Pro V1® and TaylorMade Penta®, has already made great strides in shaking up the golf world. For years, he’s been offering premium, Tour-level, urethane-covered golf balls which sell for $31.99/doz. And that’s the most you’ll pay, as buying as few as six dozen balls at once drops the price per dozen to about $27. Meanwhile, balls from the big names – with their big marketing and player promotion budgets – continues to rise, currently settling in at about $45.99/dozen at most retail stores. 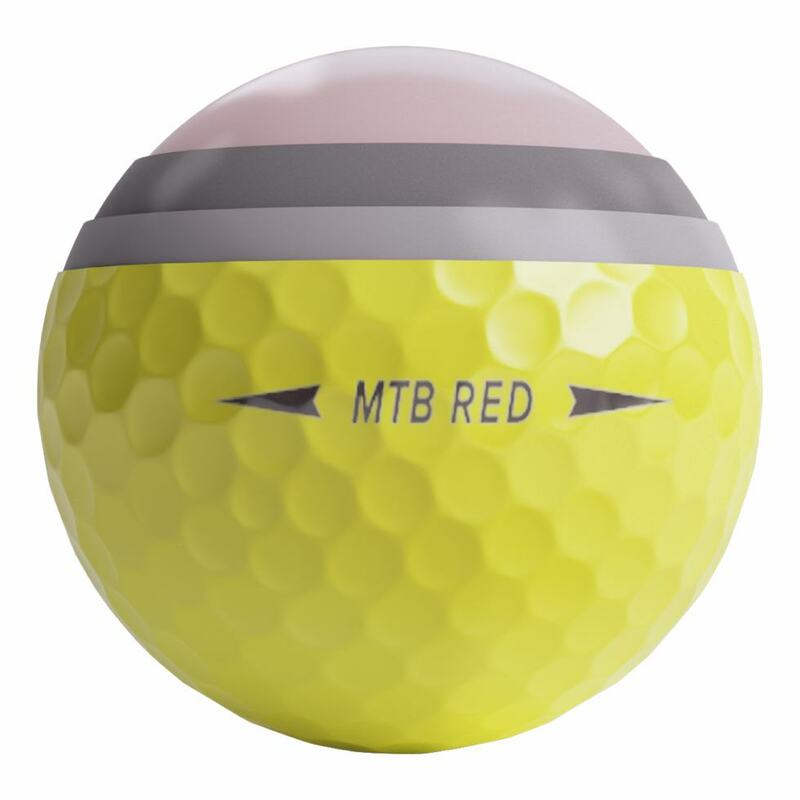 Dean Snell is ready to shake things up again, as he offers what customers have been clamoring for on two fronts: today, Snell Golf is announcing the release of their new generation of “MTB” (or “My Tour Ball”) line, with two balls – an MTB Red and an MTB Black – as well as the release of their first bright yellow golf ball in the MTB Red model. Dean Snell headed up the development of the Pro V1/V1x for Titleist and TaylorMade’s lineup of balls for years. Now he’s got his own golf ball, and you can have it, too. How does it stack up? While you may not know the name Dean Snell, there is a good chance you know the names of and have probably teed up the numerous golf balls he’s helped design. After 25 years of experience in the golf industry, Dean Snell’s name is on 38 golf ball patents. He was the designer or co-designer of some of the best performing and most popular golf balls in the industry. While working for Titleist, he was responsible for the ProV1/ProV1x, Tour Prestige, HP2 Tour, and HP2 Distance. After seven years with Titleist, he moved over to TaylorMade as the Vice President of Research and Development where he produced the TP Red LDP, TP Black LDP, Penta TP, Penta TP5, Lethal, Tour Preferred, Tour Preferred X, Burner, Noodle, RocketBallz and Project (a) golf balls. So when Dean Snell came out with his own golf ball, it caught our attention and these balls should definitely be on your radar. The golf ball market is an interesting place right now. Titleist is obviously still top dog for the “tour” level golf ball with many great offerings from Bridgestone, Callaway, TaylorMade, and Srixon. But, the problem with these balls is that you’re going to pay $44-48 for a premium tour-level performance. In the price-fixing world of golf equipment, all the premium level balls are priced similarly. That leaves the door open for competitors that don’t have to pay the Tour players, can cut out the middle man, and sell their balls directly to the consumer. This is the mission of Snell Golf; to sell Tour-level performance golf balls directly to the golfer at an affordable price point. A Pro V1 for the masses. Interested? Too good to be true? Let’s take a closer look. TayorMade hits another home run with some minor tweaks to an already-great golf ball. TaylorMade has never shied away from taking chances where technology is involved. The company that brought us three different ways to adjust a driver and a slot behind the face of a fairway wood to increase the CoR is back, and continues to up their golf ball game. Already the first company to introduce a five-layer golf ball, TaylorMade has seen their golf ball line take off recently. The TP5 is the fourth premium golf ball TaylorMade has brought to market since their entrance in the mid-2000s, and they’re gaining traction on the PGA Tour as well as in pro shops worldwide. 25 million Pentas were put into play around the globe in 2011, and Darren Clarke used a PentaTP en route to his Open Championship victory. TaylorMade’s golf ball market share doubled in 2011, continuing their inroads into a business dominated by the likes of Titleist, Bridgestone, Callaway, and others, and this year they’re aiming to bring their (healthy) obsession with innovation back to the golf ball. Read on to see how they did. The Hex Black Tour ball is Callaway’s best offering to date giving any player a solid option when looking for a premium ball. The new Callaway Hex Black Tour ball hits all the marks to compete with the other premium balls on the market. The premium ball market has been dominated by a certain company for – what seems like – an eternity. I was one of the many who followed along and used the newest ball that came out every year. That was, until last year. I picked up a new ball (cough, Penta, cough) that felt just a bit better in nearly every aspect. What this did was open my eyes a bit more to the other balls on the market. One of those I tried was the Callaway Tour i(s). I hadn’t hit a Callaway ball in years and didn’t expect much. To say I was pleasantly surprised would be an understatement. This is coming from a bit of a ball snob. So when the new Hex Black Tours came on the market I eagerly wanted to give them a try and see what they had to offer. How did they compare to the #1 ball on tour and my current favored ball? Read on to find out. If you play golf, then Bridgestone’s probably got a ball for you. Read our thoughts on the premium B330 line. Many golfers might be surprised to know that, in terms of dollar market share, Bridgestone Golf has grown to become the number two golf ball in the industry. Bridgestone Golf began manufacturing its first golf balls on U.S. soil in 1990 under the Precept brand, and while it’s only been seven years since the Bridgestone Golf U.S. brand was launched, the company has been producing golf balls since 1935 and they are the number one golf ball producer in Japan. Bridgestone’s goal is to design a golf ball for every level of player. This is not an easy task since there are so many variations of golf swings. Getting fit for the right ball is just as important as finding the right shaft, lie angle, or grip size. Bridgestone is not only innovating golf ball technology but how golfers get fit for their ball. One thing is for certain, they aren’t afraid to compare their results against their numerous competitors. For the past couple years, Bridgestone has had teams of ball fitting specialists provide free fitting sessions for golfers around the country. During these sessions, golfers see how the ball they currently play stacks up against a Bridgestone ball. I’m sure their competitors have taken notice. It also doesn’t hurt to have some notable staff players, Matt Kuchar, Brandt Snedeker, and Fred Couples, playing well and getting a lot of TV time. Bridgestone’s e-Series balls are new and improved this year, but how well do they perform? While some golfers remained unquestionably (and almost illogically) loyal to the offerings of competitors, little by little, more and more amateur players have gravitated to the e-Series (as well as other Bridgestone products) and now sing the praises, wishing they had switched sooner. Bridgestone only added fuel to the fire, offering public ball fittings available to anyone and everyone looking to find the ball to fit their game to the greatest degree possible. TaylorMade can’t be accused of shying away from technology. If anything, the company behind “MWT” and “FCT” and countless other technology acronyms is one of the most technologically adventurous around. With the Penta TP, TaylorMade has moved the golf ball into new territory: the Gillette razor blade land of “more is better.” In shaving equipment, it’s the number of blades. In golf equipment, it’s the number of layers. Joking aside, the buzz around the Penta TP has been tremendous since the ball was given to pros late in 2009. Can one ball – albeit one with five layers – really fit everyone? From the guy who is happy to reach the occasional par four in two to the guys who routinely reach par fives in two on our televisions each weekend? The new Srixon Z-Star and Z-Star X come close to other premium balls in distance and spin but lack in feel. When the 800-pound gorilla in the market (see: Titleist) releases a new version of their premium balls, what are their competitors to do? Srixon has answered the challenge with the release of their newest balls, the Z-Star and Z-Star X. With names like that it is pretty easy to see that Srixon wants to directly challenge Titleist and take the gorilla head on. Some PGA Tour pros, including Jim Furyk, Vijay Singh, and Tim Clark have been using the Z-Star line of balls since they came out. In a short time, the Z-Star and Z-Star X has grabbed a decent chunk of the premium ball market on the PGA Tour. The question remains: will it be enough to convince the rest of the golfers out there to not only give the new Srixon’s a try, but to convert? Read on to find out if it could convert this long-time Pro V1x user.